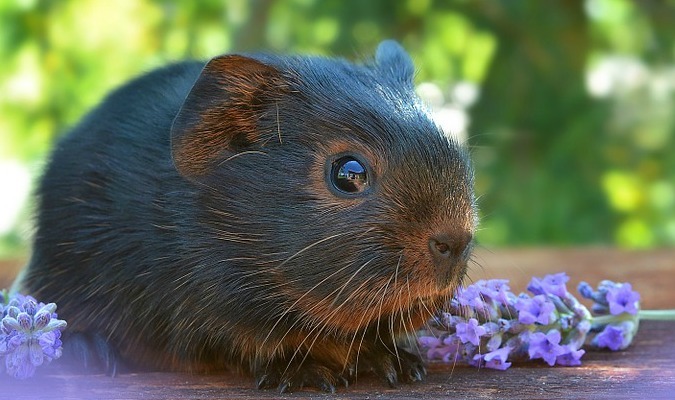 Whether you stumbled upon a happy, chirpy guinea pig at the adoption center or one of your friends has a litter they needed to share, now you’ve got a new pet! The guinea pig isn’t that big, so you’re figuring he won’t be that much of a bother, but new furred friends will need some of the basics. What to do about food, shelter, and water? Who’s to know? In our vast and complicated world the answers are almost always impossible to nail down. Fear not! Or maybe you should be. We’ve hunted down some of the staples for the four-footed creature that sometimes appears as if it doesn’t have a head or a tail. The football shaped rodent can be a handful, once they get a head of steam rolling, but when equipped with the right arsenal of guinea pig collection equipment, keeping yours in control should only take a few years of struggle before peace is restored to your home. When you bring home that fluff ball with the funny chortle and giant teeth, you will want to share the love! Invite all the neighborhood dogs, cats, and birds of prey over for a celebratory lunch. Make sure that you don’t forget all the other rodents when sending out the invites. Oh, what fun there will be when you have everybody play Marco Polo in the pool! The squeals of terror as Mr. Whiskers the Persian cat closes in on your new rodent friend will echo through the whole block and the fur will surely fly! Don’t forget to provide some catnip, tennis balls, fresh fruits and cheese in a big pile in the middle of the yard for a free feeding area. One of the real joys of having a little animal share your world is watching them forage! Now that you’ve given the little guy the run of the house, they’ll be sure to hunt down a source of food and water in short order. Don’t be shocked when you find him swimming in the toilet or sitting ankle deep in the potato cupboard. And closed doors pose no real restriction as his little sniffer that wiggles a million twitches a minute can sniff out potential food sources and then eliminate any barrier by employing his over-sized teeth. Wondering about a litter box ? No need. The latest research shows that guinea pigs don’t use them. It’s something of a mystery as to where they habitually leave their droppings, but you’ll probably figure it out in short order. Of course he’ll need somewhere to sleep. And they have those enormous choppers that love to keep moving. So a nice shoe or tissue box should do well as a bed. When you plaster some lettuce and carrots to the wall, he’ll be the happiest guinea pig on the block! The box should hold up well, so with the top taped on you’ll definitely know where to find the little buddy in the morning. If he really wants a soft bed, he can simply shred the box. Hey! Handy carry-cage and veggie flavored bedding all in one! There’s absolutely no need to tell your family and friends about the new addition to the family. Everybody is seriously fed up with their social media being flooded with super cute snaps of baby cats, dogs, humans and even giraffes. The big, blank stare of the guinea pig combined with their mindless constant chewing of whatever is handy is not something anybody wants to see. Refrain from recording your squeaky conversations with him, his excited gallop across the cage when you come home or their roly-poly bodies being cuddly. Just stop! Save us all! Now, are you all set? Feel like you’ve got the chops to tackle your tiny buddy? Great! So glad we could help.